Tune in live on Monday, August 3 to see the mayor's responses to citizen questions live, on air, on GRTV Channel 24 and live-streaming here on The Rapidian. Comment at the bottom of this article! 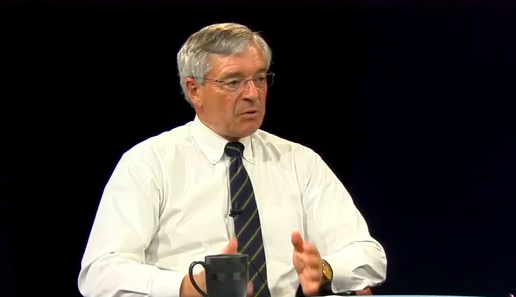 Every month on the first Monday, Mayor Heartwell is open to all questions sent in during his live on-air show "City Connection." This month, City Connection will be aired on GRTV Channel 24 and live-streamed right here on The Rapidian on Monday, August 3 at 5:00 p.m. The mayor will be responding to citizen questions submitted by calling in, emailing, tweeting or just posting a question in the comments section at the bottom of the article page. For 18 years, the mayors of Grand Rapids have hosted City Connection, a monthly, live call-in show on GRTV’s Livewire, Comcast channel 24. Mayor John Logie started the program in 1992 as a way to share mayoral perspective with Grand Rapidians and to bring a little more transparency to local government. City Connection is an opportunity to interact directly with one of our city’s top elected officials.